Responsive web design and HTML5 have both changed the face of WordPress themes as we know them. There are literally millions of sites on the internet that are powered by WordPress and developers are constantly updating their themes and frameworks to meet advancements in the platform. 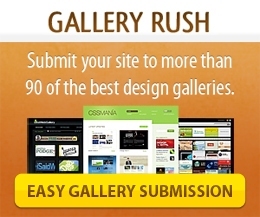 The list of the best WordPress themes below is listed according to several categories. Responsive design is the buzz word for 2012 extending even into WordPress themes. A single design that adapts to multiple devices so that users can view a site using their desktop, tablet or smartphone is a must. Check out two of the best responsive themes of 2012. Flexible Theme is one of the most popular responsive themes for 2012. The theme is developed by Elegant Themes and features a wonderfully laid out gallery for displaying your portfolio or products. Flexible is easy on the eyes and on the pocket since you get this theme along with all the other themes from ET for only $39. Developed by GoodLayers on Themeforest the drag and drop pagebuilder in the admin panel makes it easy to customize your layout. The very responsive design looks great on tablets, mobile phones and desktops. Some other out of the box theme features include social share for posts, image sliders, unlimited colour options and over 350+ fonts. Modernize costs $50 for a regular license. Another theme from Elegant Themes, Notebook is a multimedia theme that presents your portfolio in a well laid out and attractive format that in no way takes away from the beauty of your work. The epanel allows easy management of the site layout, colors and advertisement. Get the Notebook theme for only $39 when you join the ET club which will give you access to all the other themes as well. When it’s all about your work and nothing else the Showcase theme from Organic Theme should be the theme of choice. It is a very minimal theme with standard options including a fresh design and mobile friendly features. Showcase theme costs $69. For displaying lots of content in a way that is easy to view Magazine themes are the themes of choice. These can be used for personal blogs or larger corporations. Lucid is modern looking magazine theme from Elegant Themes that displays lots of content is a clean and uncluttered layout. The grid layout helps to keep content and images organized but visible. Lucid is a responsive theme that will adapt for mobile and tablet browsers. Join the ET club and get Lucid with all the other Elegant themes for $39. Crucio is another magazine theme that features responsive design. The focus with this theme is typography, texture and usability. An intelligent admin-panel makes it easy to install, setup and customize the theme using the any of the four slider options, 8 colour skins, 10 background patterns, shortcodes, gallery options and so much more. Crucio can be purchased at Themeforest for $40. Business themes are ideal for setting up a professional presence on the web. There are many business wordpress themes from different developers. Here are two of the best. Pagelines is a wonderfully flexible drag and drop theme that can be used to create professional websites with endless possibilities. With Pagelines you get a theme that is decidedly better, faster and easier to use than most other themes. None coders will be happy with the intuitive interface while coders will be excited to dig in. The end result will be great looking business websites. Pagelines is on sale now for $87 with Plus Membership. Karma is a Themeforest theme that comes with the new CU3ER v1 3D slider. The theme is very intuitive, comes with 100+ shortcodes, 20 page layouts and colour variations and much more. Karma can be purchased for $40 at Themeforest. If you’re thinking about getting into theme development theme frameworks is a great way to get started. Use these two frameworks and their child themes to get a head start on your next project. Start building some incredible websites with Genesis and WordPress. Perfect for novice and advanced developers Genesis comes with a host of child themes that you can build upon or build your very own theme from scratch. The framework costs $59.95 or you can purchase with all the child themes for $349.95. Headway themes are all about the drag and the drop making it an excellent theme builder for newbies. The layout, customization, colours and font possibilities are unlimited and fully manageable with the Headway Visual Editor. The visual editor makes it easy to see your blog design as you edit it. The base version costs $87 while the developer costs $174. What are some of your favorite WordPress themes?